Red-hot Japanese girls rock band BAND-MAID will make their American live performance debut at Seattle’s Sakura-Con in March 2016. The five-member group has made waves over the past few months for their cute, authentic maid outfits combined with their impressive musical skills. 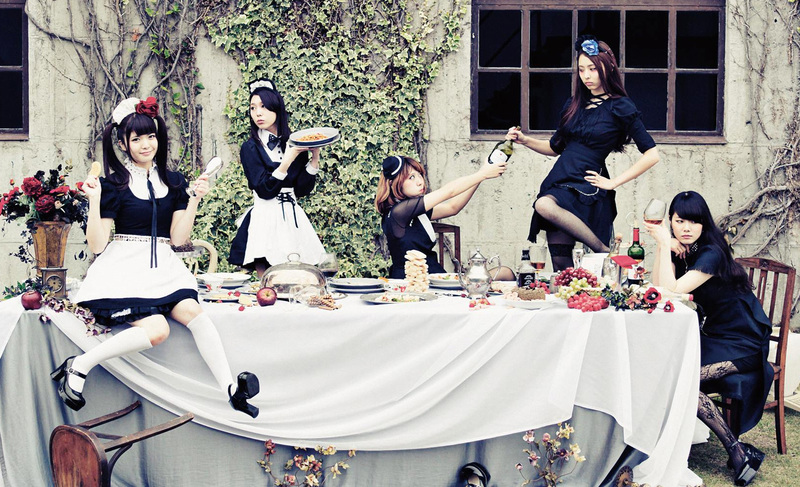 BAND-MAID’s music videos “Thrill” and “Real Existence” have each surpassed 1 million views on YouTube and gained the attention of fans worldwide, including mainstream magazines Guitar World and Metal Injection. Presented by the Asia Northwest Cultural Education Association, Sakura-Con is the oldest and most well attended anime convention in the Pacific Northwest. Member attendance for Sakura-Con 2015 was over 23,000 individuals, with most members attending all three days! Please join us for Sakura-Con 2016 as we celebrate our 19th amazing year. All the excellent programming you’ve come to expect will be back in abundance. Anime theaters, gaming, cosplay, cultural panels, dances, concerts, art contests, AMV’s, industry guests, over 100,000 square feet of exhibits hall, guests of honor, and more!